This Air Jordan 6 color way is all new, referencing classic Michael Jordan celebrations and his signature cigar and champagne photos. 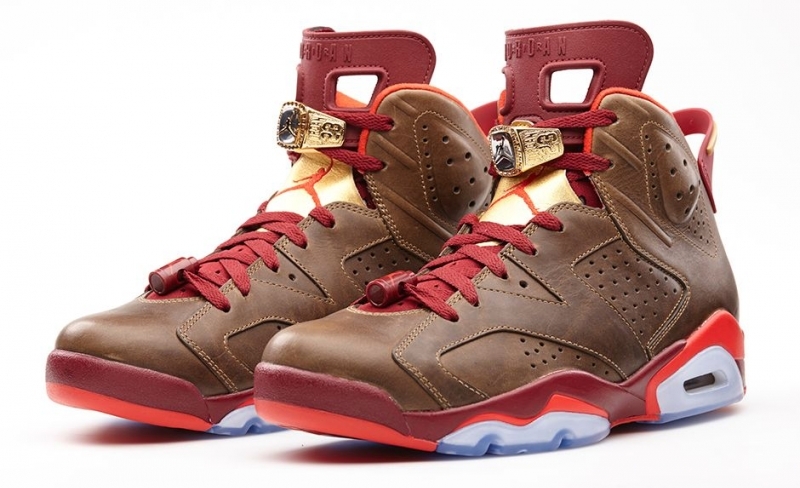 Mixing premium brown leather with team red accents, the sneaker was part of an unofficial Celebration Pack. The sneaker sports an etched look along with a championship ring lace lock to finish off the premium aspect of this color way.